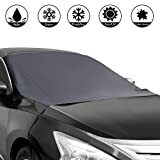 This winter, when you leave your car outdoors exposed to the freezing elements, prevent frost, ice, and snow from collecting on the windshield with these cool new Winter Windshield Covers. 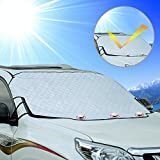 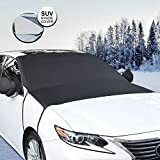 These handy covers form a barrier on the windshield to effectively stop icy wintertime weather from forming and save you the arduous task of having scrape and brush it all off. 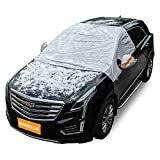 Simply park, place a cover over the windshield, secure it down by looping the elastic straps over the side mirrors, and let it snow all it wants. 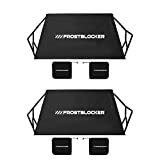 They're designed to fit most cars, wagons, pickups, and SUVs and come in a set of two with two storage bags.